The Jagdishpur reservoir, the largest reservoir in Nepal is located in the Kapilvastu district. This place was originally built for irrigational purposes and is now surrounded by huge cultivated lands. This area serves as a buffer zone for bird movements and thus is home to a large number of endangered species. The reservoir happens to have a suitable surrounding for resident as well as wintering and migrating wetlands birds comprising of forty five different species of birds. 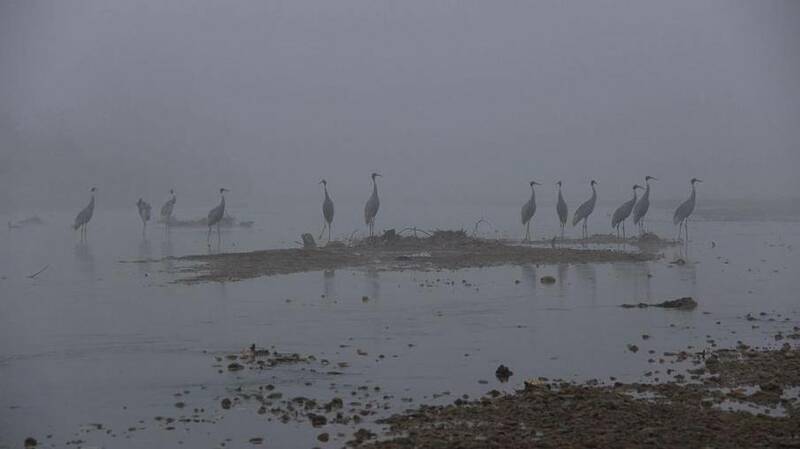 Noteworthy among these are storks, duck and geese, terns and gulls, cranes, kingfishers, etc. Eight globally threatened and near threatened bird species have also been found. In spite of this the birds of Jagdishpur are poorly known. Lying in the famous Lumbini region, the Jagdishpur Reservoir has been designated as a world heritage site and is a part of the Important Bird Area of Nepal. The place is also famous for its lush greenery which provides the visitors a feeling of freshness. Also the wide variety of species found here makes it a must visit place!